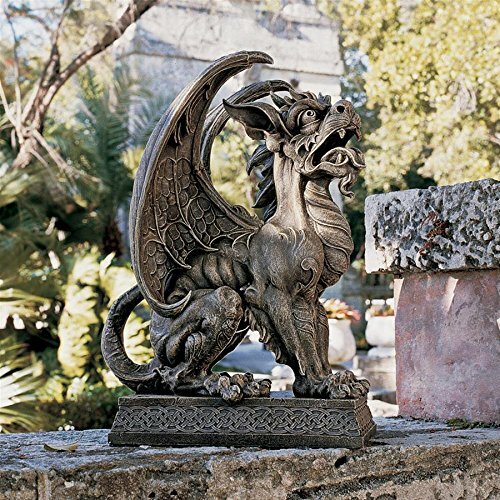 OK, I’m not one to carry on about something when company doesn’t care about it… but when the topic is about a garden gargoyle statue or two, I throw my social sensibilities out the window! Why, you ask? 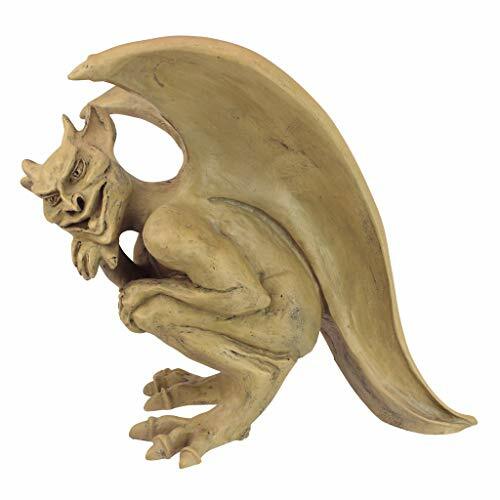 Well, garden gargoyle statues are one of the most awesome, CRIMINALLY underrated things mankind has ever cooked up. Let me be clear about this: I’m talking literally top 10 most overlooked accomplishments in all of human history, gargoyle statues are WAY up there… like right below indoor plumbing and WiFi. Last update on 2019-04-20 at 08:24 Product prices and availability are accurate as of the date/time indicated and are subject to change. Any price and availability information displayed on [relevant Amazon Site(s), as applicable] at the time of purchase will apply to the purchase of this product. Let’s start out with something classic and tr﻿aditional! 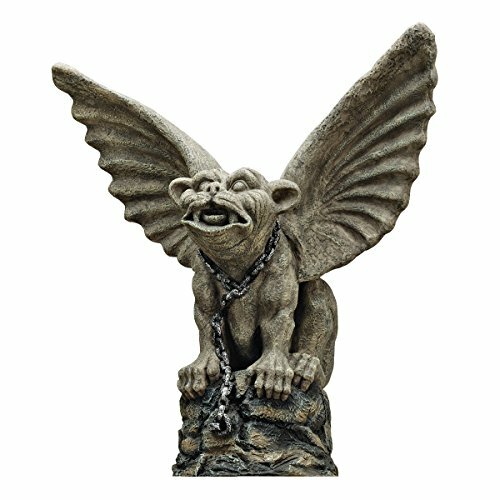 This gargoyle statue screams in agony at unwanted guests and the chains aren’t making him any happier to boot. The wings are awesome and they have a very medieval vibe going on, like I could totally imagine this thing on the set of Lord of the Rings or something. Classic and simple–awesome! OMFrickinG this one is just too cool. Look at the ominous stance and the way he’s perching over his next victim! I just love the way his wings look soft and light, almost like a silk blanket! Draga is a special kind of gargoyle, as he is a vampire! So he will be perfect for your home and will literally guard it long after we’re gone. The curse of ever-lasting bloodlust is a tough one to bear! Double Trouble is a wall-climbing sonofagun! 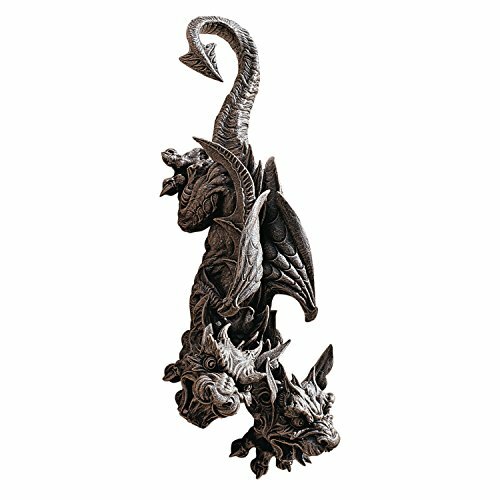 This two-headed piece is super-detailed and hangs easily onto your porch wall or the outside of your house! It’s bound to get a comment or two from your guests, who quite frankly should be honored to be among patrons with exquisite Gothic taste. OK not all gargoyle statu﻿﻿es are about scaring intruders away, Oscar is more of the whimsical type! He crosses his arms and watches your every moment, quietly judging you with his face but is just too polite to tell you so. To tell you the truth, sometimes you need a break from the humdrum of life and a quick glance at Oscar’s naughty sneer will melt away the stress! The legendary Hopping Gargoyle of Cambridge is sure to scare the pants off your kids and pets! Just set him up in the living room corner or up on your mantle and get ready for hours of peace and quiet in exchange for a couple of well-placed “Hopper will come check on you tonight” threats. Seriously, this thing is cool and has an unforgettable creepiness to his face. Another winner on this list! The details are stunning! 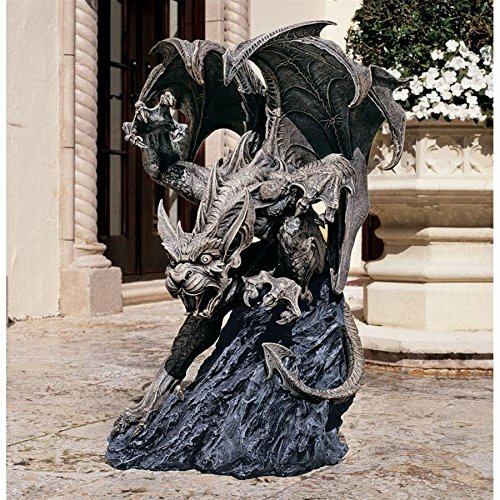 The Boden Sentinel gargoyle statue has a regal vibe to it, for sure. It’s proud stance will ward off all your ugly neighbors and their annoying stories! This piece actually reminds me of those awesome guardian statues from Thailand. WOW. How could you not want THIS one?! It’s straight out of a Dungeons and Dragons Manual (or so I’ve HEARD) Scatheus Guardian of Shadows emanates this “I eat little children… and dopey mothers-in-law on occasion.” I totally WANT WANT WANT one. Simply stunning! This is two feet tall and chock-full of awesome! Silas the Sentry is perfect to place by a light source and all the creases and cracks in his skin will create some great shadow play for you and your guests. This one is not as crazy as the last one but simple is good too! He knows all your best secrets and will NEVER ever keep them to himself! 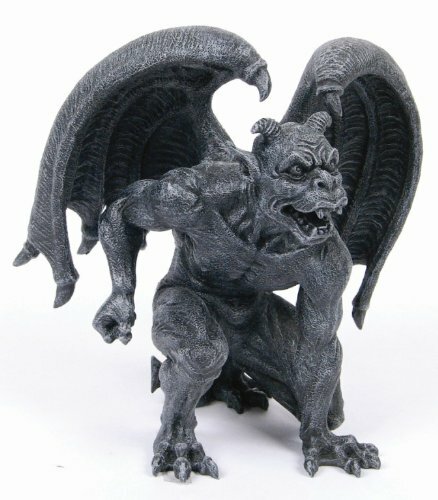 Whisper will tell all your other gargoyle statues all your dirtiest escapades. There’s always one in every group, as they say… But whisper will be a perfect addition to your dorm room or study and he’s one of the more affordable pieces on this list for sure. That’s never a bad thing, folks! Another regal addition to this list! This one would actually look frickin’ awesome displayed side-by-side with the Boden Sentinel gargoyle statue. They would look so cool at the sides of your doorway or front walkway! Once again, the wings are super-detailed and there is a cool Celtic knot pattern around the base of the statue. TOO COOL. This one is another crazy one! Raptor is perched atop a grand Gothic steeple and will keep a close watch over your Gothic kingdom. I can’t get enough of the wings on this one! How do they model them to look so soft?! And look at the way his tail wraps around the steeple along with his feet. WOOHOO! 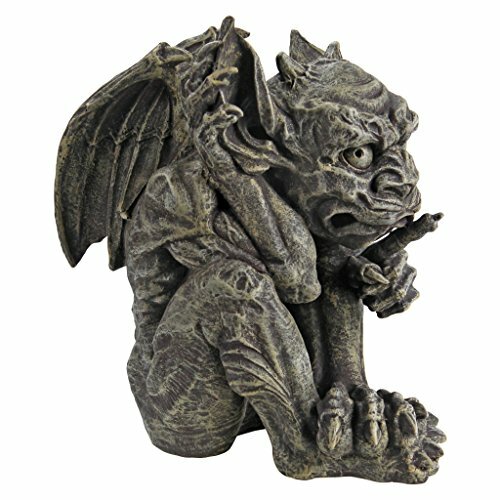 This Evil Winged Devil gargoyle statue is more traditional than some of the others on this list and that’s great! I mean, look at the snout on this one! He also seems to have a massive harelip as well and he’s bowing at your service. This guy reminds me of the gargoyle from Capcom’s Ghouls and Ghosts! He looks just like that flying gargoyle who takes the princess at the start of the game. Coincidence?? 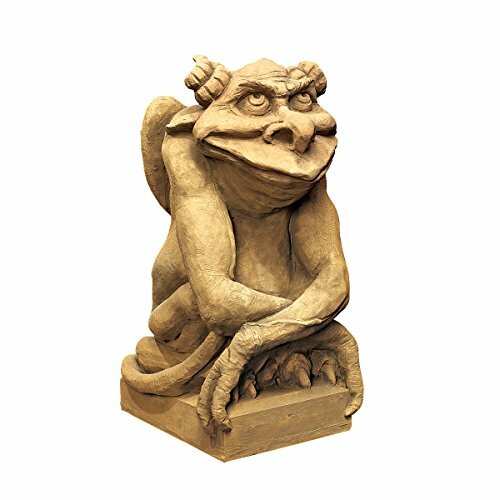 Every thinking man will one day ponder… “Why are gargoyle statues so cool?” or perhaps they’ll have a moment of realization, “I totally need to nab me one of these bodacious gargoyles for sale!” Well, Socrates is the perfect gargoyle statue for you thinking goths out there. He sits atop his column, in one of the most relaxed positions I’ve honestly ever seen a gargoyle take, and he… wonders. He wonders and he wanders the far corners of his mind. And if that sounds like you, well then I believe you’ve met your match! I think it may be obvious. 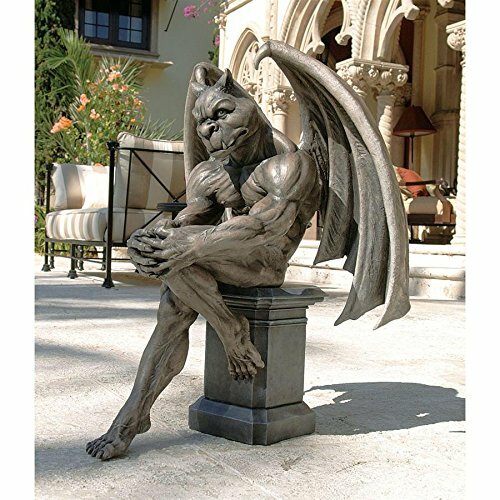 I frickin’ love me a gargoyle statue. That’s just how we do. 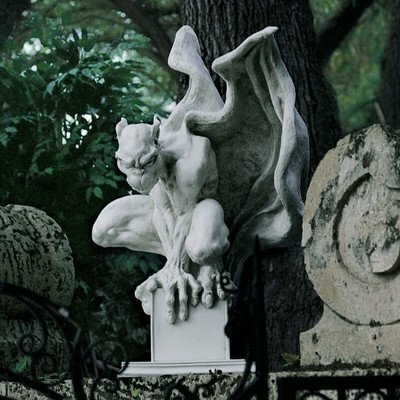 The fact of the matter is that these cool gargoyles come in several sizes, one for every kind of goth on this dismal earth. And I hope that you have found one on this list that speaks to the little gargoyle-lover inside your heart! 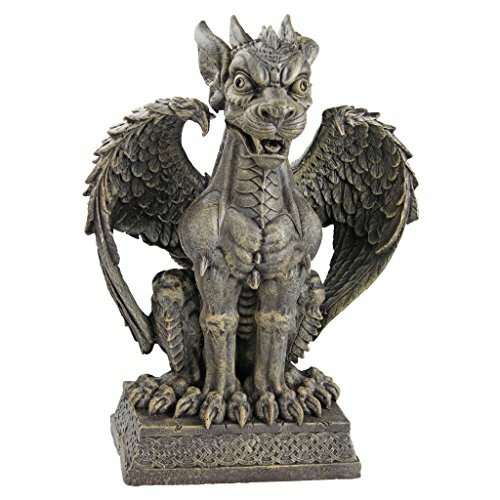 These gargoyle statues for sale are all highly-rated and reviewed and I just thought it would be awesome to let you guys in on the fact that you can literally click a few buttons and have one of these babies delivered right to your doorstep! 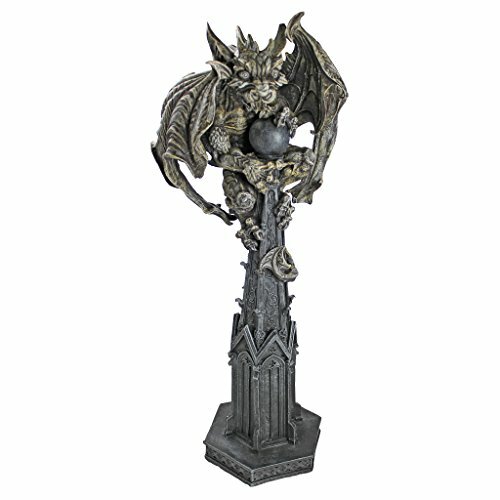 So stop wasting your life away… take the plunge, get your favorite gargoyle statue and live Gothic today! Copyright by GothicDecor.net. Don't Steal My Sh*t!!! GothicDecor.net is a participant in the Amazon Services LLC Associates Program, an affiliate advertising program designed to provide a means for sites to earn advertising fees by advertising and linking to Amazon.com. Additionally, GothicDecor.net participates in various other affiliate programs, and we sometimes get a commission through purchases made through our links.